Everyone loves flowers and that is a fact. Flowers bring beauty and they have meaning. Hence, a lot of people want to grow flowers in their garden. Having their own flower garden gives them lots of flowers that they can tie up in a bouquet and give to the significant people in their lives. They can also place the flowers in a vase and place it around the house. The result is instant beauty. There are so many flowers to choose from. It may get confusing which flower to plant when starting a flower garden because each on is beautiful. For first-time gardener here is a list of annuals that are easy to grow. 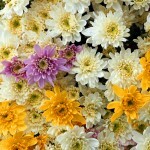 Chrysanthemums are one of the most popular and well-liked flowers in the world. 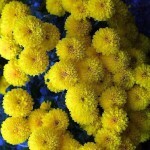 It comes in different color varieties ranging from a single yellow color to a double color and even a tricolor variety. Other colors include white, red or purple. They are easy to grow because they have no problems with the sun. Planting chrysanthemums may be started in March with the aid a hotbed as a source of heat. Under natural conditions, it can be planted during April. In fact, they thrive under direct sunlight and dry but well-enriched soil. Each should be planted at least a foot apart in order to maximize the nutrients, water and the sunlight available without competition from its neighbor. In order to make it grow more branches, the present branches should be regularly pinched. Cosmos is a flower that is very easy to grow. It is recommended for first-time gardeners. It thrives in hot and dry soil and even soil that is not well-enriched. Hence, it can even grow well in a container. It thrives under the heat of the sun, yet it dies easily in the frost. It is also self-seeding, meaning that when its seed fall to the ground they eventually gown into another cosmos. 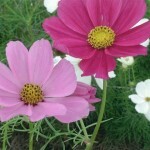 Cosmos is not even prone to infestation of insects and pests, so it hardly gets any related disease. This flower blooms only once in every season and twice during the year. Since the cosmos loves the sunlight so much, it is at its peak of beauty during the summer months up to early fall. Hence, during these months, your cosmos should be planted in areas where they can be easily spotted because of its beauty. There are many color varieties of the cosmos. There’s a solid pink and pink with deeper pink flares, maroon, and white. 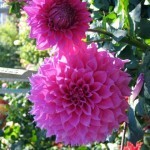 Dahlias are very beautiful flowers that come in different color varieties. Its size ranges from at least an inch to a big as a dinner plate. Its shape and petal arrangement also varies. There’s a single-flowering and a double-flowering dahlia. They look even better when grown in beds. Dahlias are a very easy to plant annuals because they grow almost anywhere. It is not picky when it comes to the soil. It thrives in the sunlight. It should receive sunlight for at least half a day so it should not be planted under a shade. It blooms during the late summer up to the fall months. Marigolds grow in a variety of colors. Among the most common colors are yellow, white, red and orange. Yet the one that stands out the most is the bright saffron orange color that truly brightens up the garden during its summer bloom. Some varieties come in a mix of two to three colors. It also comes in a range of different sizes. Marigolds grow well during the mid-summer all the way to the fall months where sunlight is abundant. It does not fare well in the frost. Marigolds grow well in all types of soil, even those that are not well-enriched. However, it sell prefers a well-loamed soil that is well-drained as well. They look excellent when planted in beds. Marigolds give off a pungent aroma that even insects cannot tolerate. Gardeners usually plant these alongside their vegetable crops to ward off insects and pests. Seeing a field of sunflowers is such a beautiful sight to behold. Everyone who passes by them easily gets tempted to pick one. The most common variety that we see are those that are yellow gold in color. They grow very quickly. Sunflowers can either be a single head of multiple-head variety. The single head are usually big. The multiple-head sunflower is composed of medium sized blooms. Sunflowers come in a variety of sizes. The giant ones grow up to 6 to 10 feet tall, while the miniature ones grow around 2 to 4 feet in height. The miniature ones are usually used as borders. 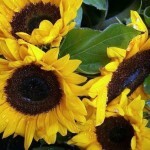 Sunflowers thrive under the sun so be sure to plant them under direct sunlight instead of under a shade. They can be planted as early as the last trace of winter frost disappears. Even when left alone and with minimal care, sunflowers still grow well. It is best to plant them at least 6 inches apart so that they would not compete for the sunlight and nutrients and water.